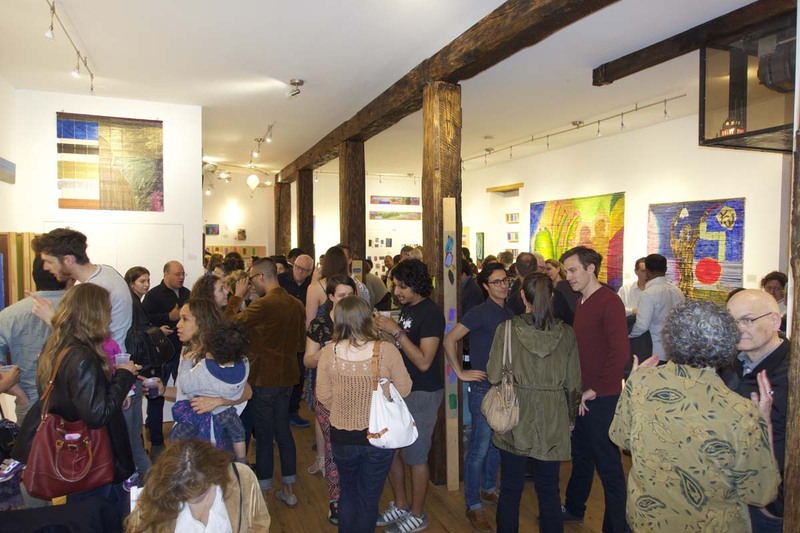 For 12 years I divided my time between continuing my work as an artist and leading a campaign, as a volunteer citizen activist, to save and develop a ten-block area of historic warehouses in Downtown Jersey City where, at its peak, there were hundreds of artists. 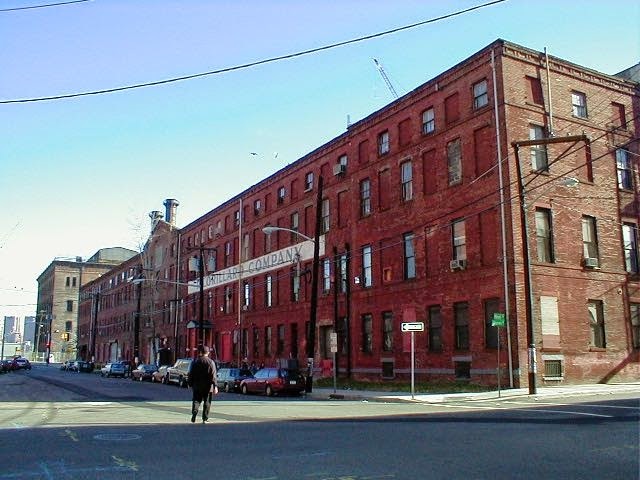 A couple of blocks in The Powerhouse Arts District, Jersey City in 2002. It was named the Powerhouse Arts District, and it was succeeding better than I ever expected. An historic district was created to protect the buildings, several buildings were restored, and some infill buildings were constructed that were compatible with the old warehouses. All residential had to be live/work loft spaces, and 20% of all spaces was set aside for low-income artists. Even the developers were happy because they were making money since, they discovered, loft spaces are desirable (duh). 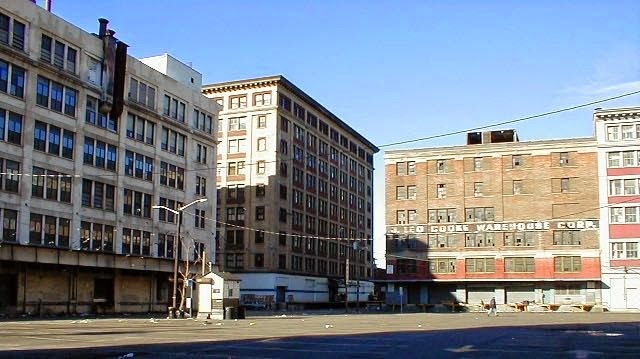 Then a new mayor was elected who not only allowed these historic buildings to be demolished, but encouraged it by re-zoning the area for 60-story buildings. Most heartbreaking was the demolition of the Lorillard Tobacco Warehouse, 111 First Street, which, at its peak, housed 7 art galleries and had more than 200 artists working there. It was the center of activity for hundreds of other artists in the area, including me. 111 First Street, the Lorillard Tobacco Company, Jersey City, January 2002. When the dream died, I became angry and alienated, not only from Jersey City government, but also (unfairly) from the admirable and caring community of citizen activists working to make the city better. Even worse, I lost my art community and felt isolated as an artist. Without interaction and feedback from artists and other people I could relate to, I found making art lonely and boring. (That's probably the reason artists have always lived and worked near other artists.) To top it off, my gallery went out of business, having been priced out of what had become the trendy Meatpacking District. I took pride in my identity as an artist, and I was reluctant to give it up. It wasn't until I found other things that I was able to let it go. My wife and I gradually became involved with the community created by Art House Productions, a local performing and visual arts group that we had come to love. I also became more and more engaged in the supportive, open and collegial atmosphere of the Bushwick art scene. And, best of all, I started this blog. Until recently, I still felt bad about my art. I felt it was worthless, that it all had been a waste. I was about to get a dumpster and get rid of the art I had in storage when Robinson Holloway, the director of the Village West Gallery in Jersey City, proposed one last exhibition – a retrospective. (She suggested I could make a big bonfire after the show, if I still wanted to.) I liked the idea of a last hurrah, and I thought it would be fitting if 100% of all sales, if there were any, go to Art House Productions. Robinson generously agreed. Installation view: Charles Kessler: 30 Years of Painting, The Village West Gallery, May 18, - June 5, 2015. This retrospective stirred up a lot of these good and bad feelings, attitudes, and memories, and it turned out to be the final stage of healing. For one thing, I am no longer soured about my art. After not painting for 8 years, I had forgotten I did some really good work. I now value it again; and I'm gratified to learn that other people also value it (a lot of work has already sold). My work is finding a home with people who care about it – so no bonfire. Will I ever go back to making art? No. But when I quit writing forty years ago, I never thought I'd go back to it, and, forty years later, here I am. We'll see what the next forty years will bring. A great post about Charles Kessler - talented artist, community activist, and kind human being whose list of contributions to Jersey City go on and on. I am so glad that this retrospective was a success and a healing experience. It really is a fantastic show. Congratulations Charles! May you have another 40 healthy happy years with Annie by your side. And if getting back to painting makes you happy, so much the better. Charles: Congratulations on the retrospective, the community activism, the writing, and--best of all--making the changes. And hello with all best wishes from Frank Lloyd to Charles, Annie, Ken, and Sandy. And compliments for all the great things you've been doing too, Frank. Glad we're back in touch — at least on FB.